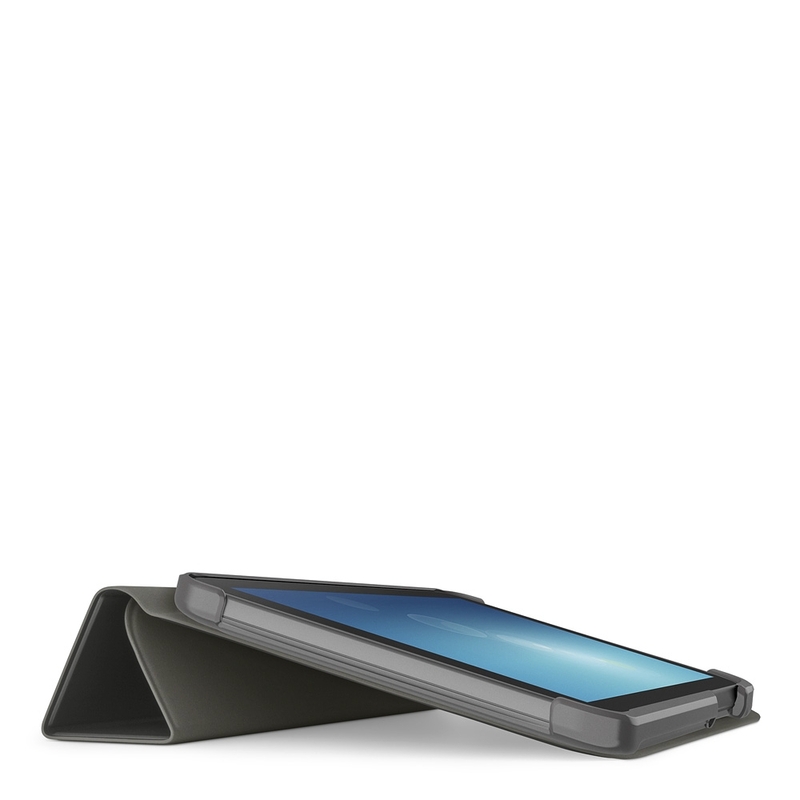 Tri-Fold Cover for Samsung Galaxy Tab E 8" is rated 5.0 out of 5 by 1. 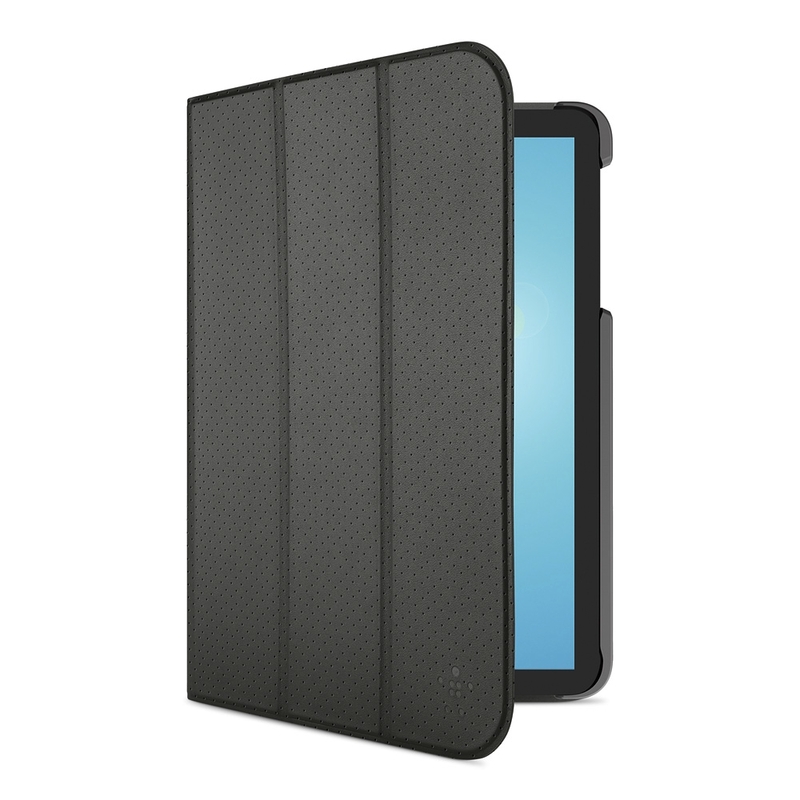 Designed for work and play, the Belkin Tri-fold Cover for Samsung Tablet® (8") provides both protection and versatility for your tablet. The perforated tri-fold cover's multiple viewing angles and full camera access let you easily go from watching movies to taking pictures and sending messages. 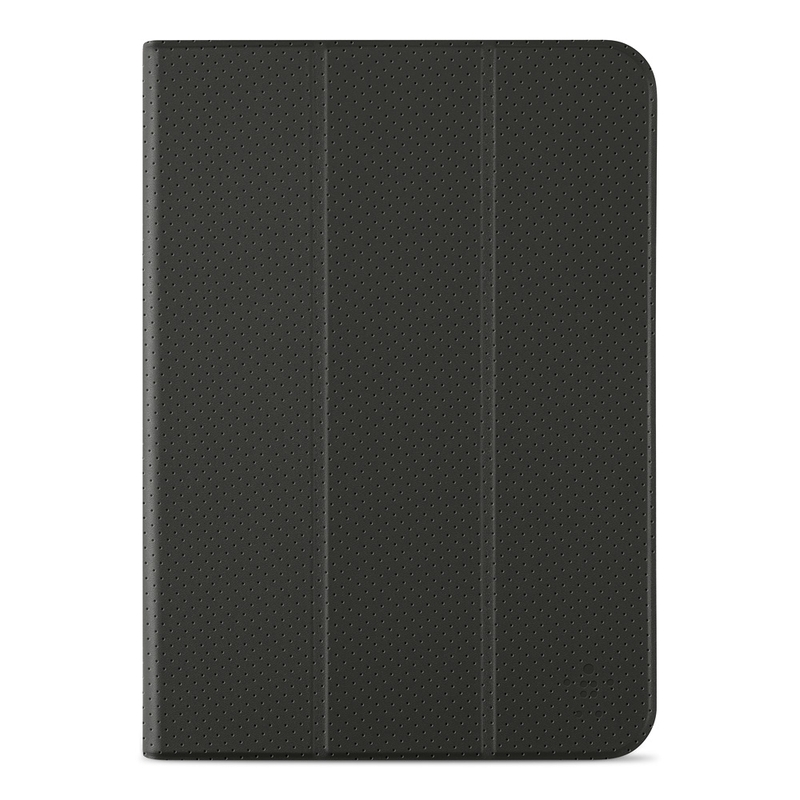 Tailor-made for the Samsung Tablet® (8") the ultra-thin and lightweight tri-fold folio cover is fashioned of super-soft, durable fabric and perforated for a luxury look and feel. The velvety-smooth inner lining cushions and protects your screen. 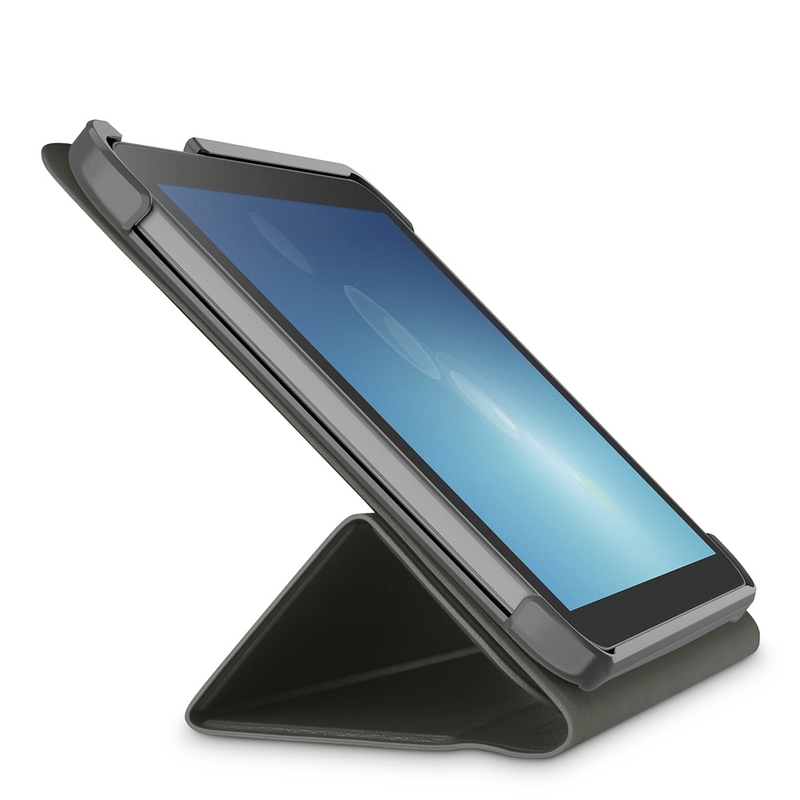 The Belkin Tri-fold Cover for Samsung Tablet® (8") even accommodates your picture-taking needs. A dedicated camera opening lets you take photos without having to remove the case. Rated 5 out of 5 by MacAttack from Tab E case Wanted a simple rugged case, Belkin has it right the first time, fits well and will last.